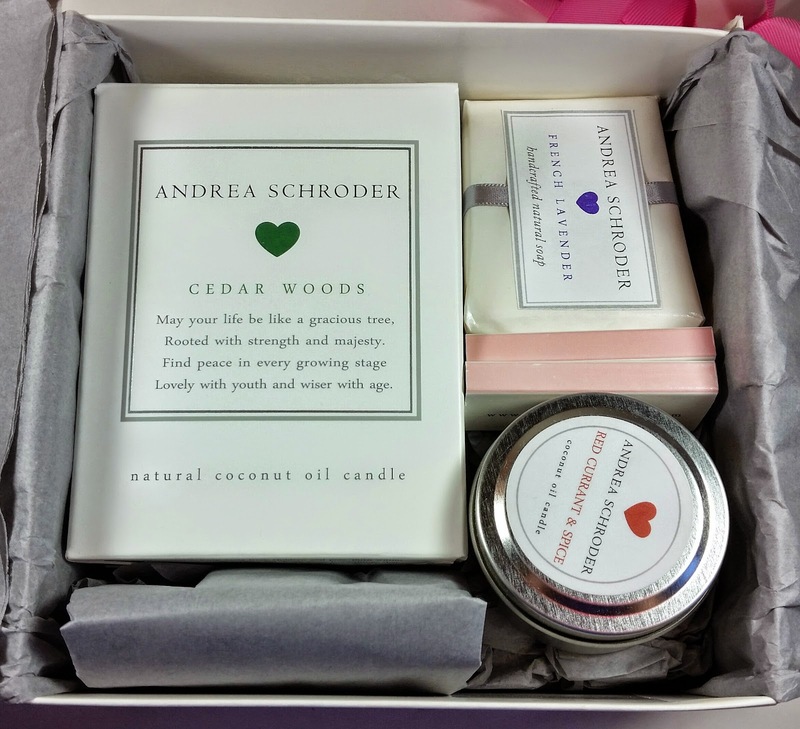 Andrea Schroder Candles Specialty Gift Set Review and Giveaway! If you love quality candles, you are going to love Andrea Schroder. This review is for the new Specialty Gift Boxes but she also has a Candle of the Month Club that offers 3, 6, or 12 months of fabulous, hand poured coconut oil candles and soaps in an array of wonderful scents. Based on this Gift Box, I am SO tempted to subscribe to the Candle of the Month Club. These candles are spectacular! I'm also REALLY excited to offer you the chance to win one of these Specialty Gift Boxes! Andrea Schroder Candles has generously offered to give one winner in the continental USA (I'm SO sorry Hawaii and Alaska!! I love you, though!) a Gift Box of their own! You'll even get to choose the scents you want! Isn't that fantastic?! Andrea started out making candles for friends and family but soon branched out to marketing her creations because of the overwhelmingly positive response. She uses pure organic coconut oil that burns clean and provides beautiful light. 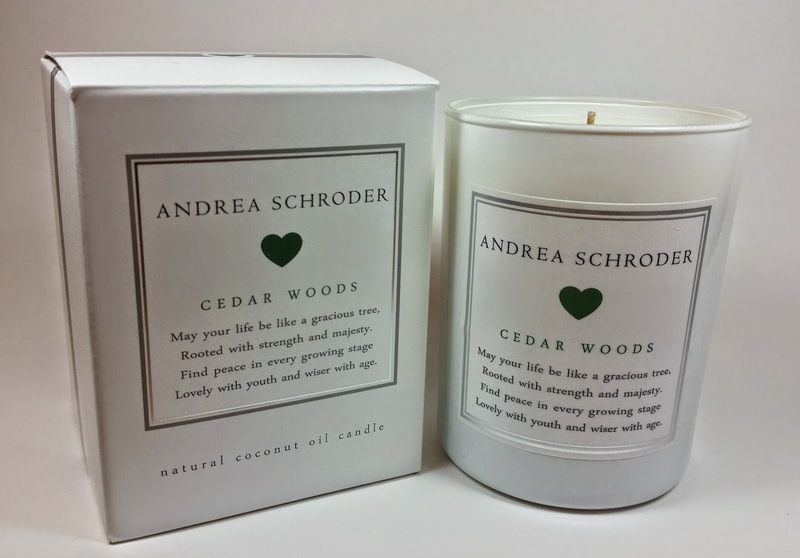 Currently, you can get Andrea Schroder candles at Nordstrom and Hallmark, as well as online. 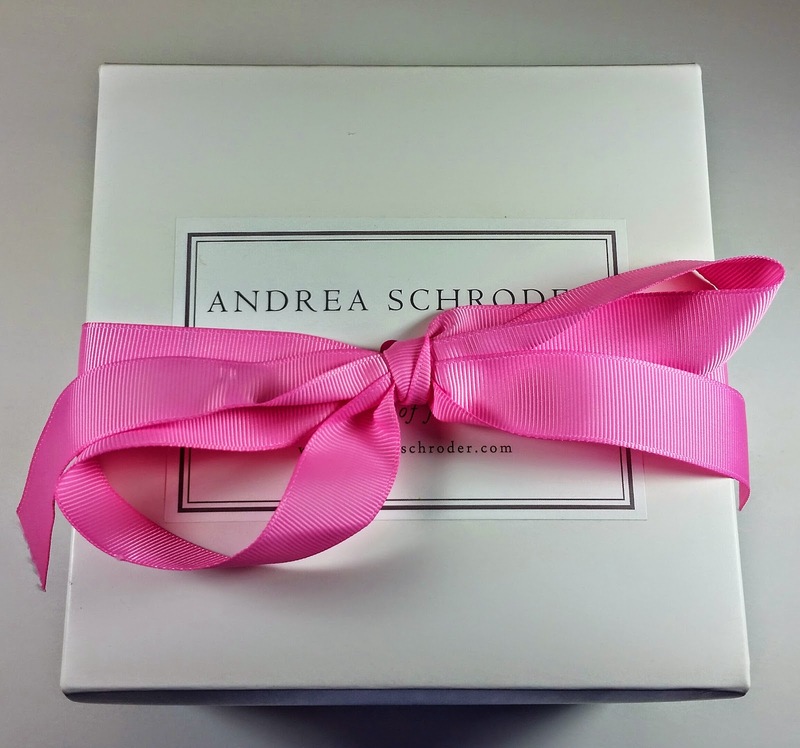 With the holidays coming up, I think a lot of us are looking for gift ideas for loved ones and the Andrea Schroder Gift Box would make anyone happy. Especially me. This is the November 2014 Gift Box and it was sent to me for review purposes. This is the same box that you would receive if you were subscribed to the Candle of the Month Club but the packaging is extra special since it's a gift. What You Get: The Specialty Gift Box includes 1 large candle of your choice, 1 notecard, 1 soap, 1 travel candle, gift wrap, and free shipping. Simply choose your candle scent, ribbon color, soap, and travel candle from the list. First Look! This box is packed! The main candle is huge! The soap is very fragrant and I could smell it before I even opened up the box. I am loving the packaging on this Gift Set. It's gorgeously rich and I love the colors. The packaging and presentation is very well done. You can tell this was carefully put together. When ordering the Special Gift Set, you get to choose the scents of candles and soap that you want. So you can customize your gift to fit the recipient which is a valuable perk. You can even pick your color of ribbon! I, of course, am very happy with the pink that came with my box. Andrea Schroder Cedar Woods Candle- This is a 10.5oz natural coconut oil candle and it comes in a heavy ceramic container. This is a substantial candle! Cedar Woods is a deep rich scent of cedar, fresh cypress, warm woods, and cool musk, perfect for bringing the outdoors in. It smells like wood with a hint of burning leaves at the back. I think it really is ideal for the turning of the season. It's also a classic for a candle-loving man. With a burn time of over 70 hours, this will last quite a while, too. 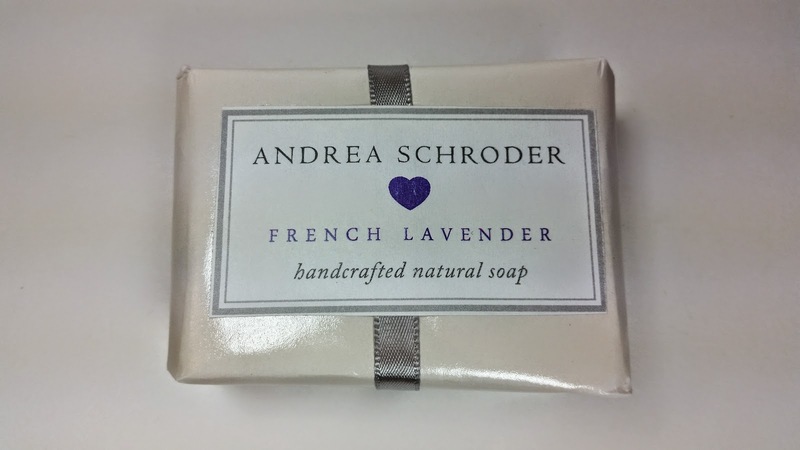 Andrea Schroder French Lavender Soap- This is a very fragrant, handcrafted soap. Coconut oil and Goats milk soap is believed to have extra skin softening properties. Coconut oil is combined with the same goat milks you find at your neighborhood farmers market. It has a delicate creamy lather and is enhanced with natural fragrance oil leaving your skin feeling soft and smelling wonderful. I'm allergic to lavender so I can't use this but my MIL *loves* lavender so this will go in her stocking! She's going to love it so much. 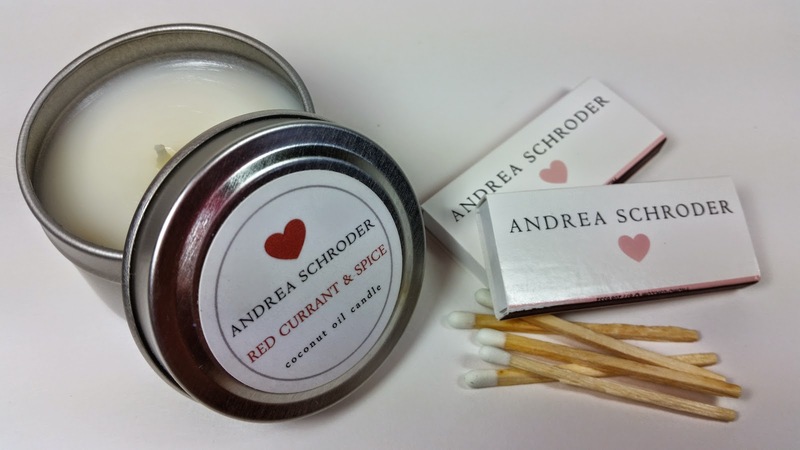 Andrea Schroder Red Currant and Spice Travel Candle- This is a 2oz lidded travel candle. Red currant is mixed with sheer white florals, wood notes, and a spice blend of cinnamon, nutmeg, and cloves. Perfect for giving the home a warm welcoming scent year round. This smells really citrusy to me with just the barest hint of cinnamon. I lit this one immediately. The throw is spectacular, it filled my office with scent and infused the hallway as well! Also included in the box were two packages of branded matches! I was glad to have them because I wanted to light my candle right then and there and having these made that easy. These are nice, sturdy matchsticks, too. Much preferred over the paper packets, especially. VERDICT: This is a beautiful gift. I am impressed with the quality of the candles, for sure. I'm thrilled with the throw of the coconut oil, too! I don't think I've every used a coconut oil wax candle before but I'm very impressed! I also love the packaging. The value of the gift is spot on with the price of $50 so the value is there. There was one missing item and that was the notecard but that may be because this was a review box. The winner of this giveaway will receive the complete box. I highly recommend an Andrea Schroder Specialty Gift Set as a gift for someone else or even for yourself! I am definitely feeling spoiled by what I received. When you buy a gift set, you will get to choose your candle scents. There are twelve gorgeous scents to choose from. I think my favorites would be the Basil Lemongrass and Peach Gardenia. 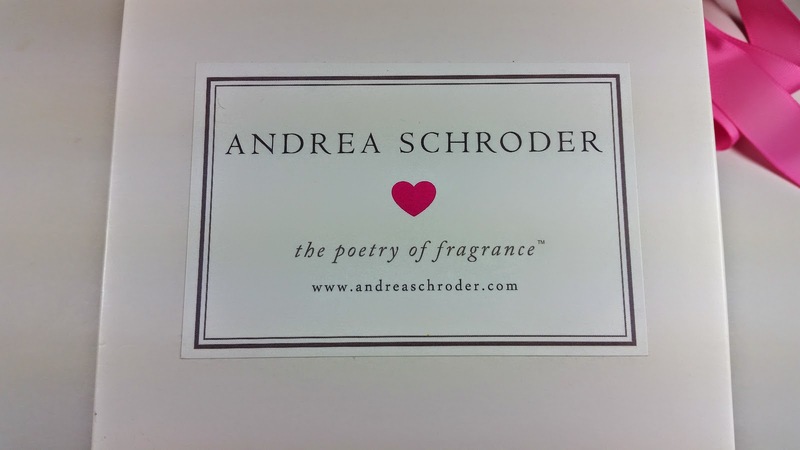 ANDREA SCHRODER SPECIALTY GIFT BOX GIVEAWAY! I'm so happy to be collaborating with Andrea Schroder Candles! This giveaway is sponsored by Andrea Schroder Candles and they will be fulfilling the winner's order. The winner will be allowed to choose which scents they would prefer to receive! Please note that this is available to the continental USA only. Andrea Schroder Candles also has a special offer for Bits and Boxes' readers! You can get 10% off your shop order, including Specialty Gift Boxes, but not Candle of the Month subscriptions, with the code BitsAndBoxes10! Check out their shop here. This code is good until 10/31. Disclaimer: No purchase is necessary to receive this prize. Please follow the rules, if you don't follow the rules prepare to be disqualified. You must live in the continental United States (No Hawaii or Alaska shipping is available). Your first entry is free and you are not required to complete any of the other entry options in order to win. The odds of winning are based on the number of entries received. This giveaway is sponsored by Andrea Schroder Candles. 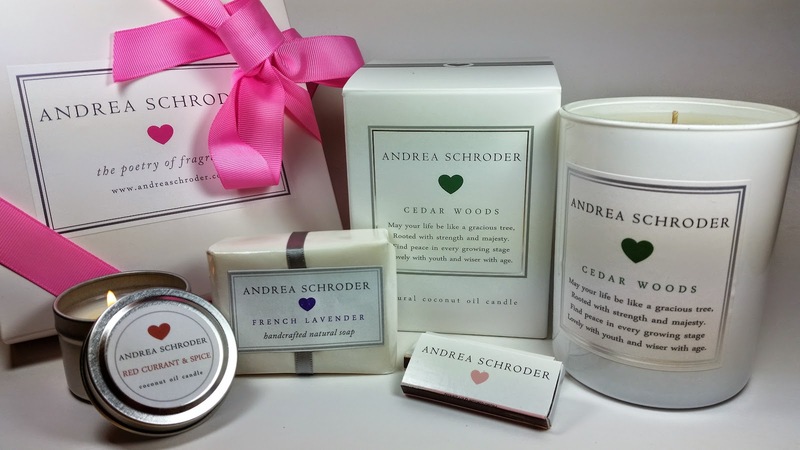 Andrea Schroder Candles is responsible for shipping and fulfillment of the winners Specialty Gift Box. Bits and Boxes is not liable for providing any part of the giveaway prize. The winner must be willing to provide their mailing address and email in order to collect their winnings. This offer is void where prohibited by law. By using the Rafflecopter widget to enter, you agree to all their terms of service. The winner must acknowledge their win within 48 hours or another winner will be chosen. I reserve the right to change or adapt these rules without prior notice. *This box was sent to me for review and giveaway purposes. All opinions are definitely my own! Coconut Sunshine and Ocean Dune sound AMAZING but not for fall... so Cedar Woods??? The packaging is so sleek and clean, I really like it :) I think Cedar Woods or Red Currant and Spice would be great for the fall weather! I would love the cedar woods and the lavender candles. Thanks for the giveaway! The Cedar Woods really does make me think of Fall, it's perfect for this time of year! Tough choice! Ocean Dune & Peach Gardenia. That's hard, I think the fig garden and the peach gardenia sound lovely. I would love to have the Red Currant and Spice candle! I wish there was, too! It seems that there are only the same 12 scents available all the time. It would be nice if they did a seasonal limited edition. Especially in pumpkin which is one of my all time favorites. I think I would really like the fig garden! You get two choices so you can have both! Citrus Rose and Fig Garden! I like the masculine scent of Cedar Woods but I also really LOVE her rose scent. Citrus Rose is my favorite, and her candle make great gifts. If you are giving with a husband or boyfriend in the house, I high recommend Fig Garden. The poetry on each candle is so unique and really makes these great for the home! These candles have some of the best throw I've encountered in awhile. Coconut wax is where it's at. I'm having a hard time resisting a subscription with candles this fabulous. Fig garden isn't sweet? It sounds like it would be but if it's not I bet my husband would love that one, too. Currently our house smells like a forest and it's pretty great. Coconut Sunshine and Red Currant and Spice would be my choices - one for each extreme season! I have coconut sunshine in my cart already and I'm SO impressed with the throw on the Red Currant and Spice. I think Peach Gardenia and Red Currant and Spice sound really good! Vanilla teak and Coconut Sunshine sound amazing.